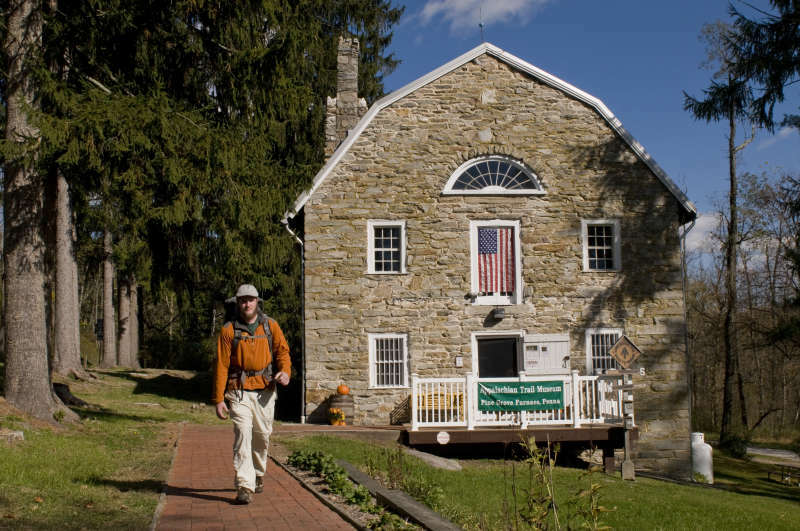 The Appalachian Trail Museum invites everyone to its FREE Hall of Fame Festival on Sunday, May 5, 2019. During the Festival, five new exhibits will be dedicated. The Museum is located at beautiful Pine Grove Furnace State Park at 1100 Pine Grove Road, Gardners, PA 17324. If it's been a while since your last visit, come see how the Museum has grown! Arrive at 10:00 AM for a Meet and Greet with coffee, tea, and juice. Then enjoy our dedication program at 10:30 AM with expert speakers to introduce each new exhibit. Stay for a picnic lunch and then, after lunch, attendees can tour the new exhibits, and the morning speakers or Museum volunteers will be on hand to answer questions. At the open-air Pavilion, music will be provided and there will be an "open mike" for everyone to share songs and experiences. 1. "A Night on the Trail": A multi-media exhibit to give children a sense of what it's like to spend a night on the Appalachian Trail. 2. "Blazing the Trail in Maine", featuring photos showing how the Appalachian Trail was established in Maine and featuring the folding kayak (Folbot) used by Appalachian Trail pioneer, Myron Avery. 3. "Walkin' Jim Stoltz"; An exhibit dedicated to the late Jim Stoltz, renowned long-distance hiker, songwriter, artist, poet, photographer, author, entertainer, and environmental activist. 4. "Hikanation": Celebrating the groundbreaking, 1980-81, Pacific-to-Atlantic Hike organized by the American Hiking Society. 5. "Our National Scenic Trails": An exhibit celebrating the 50th Anniversary of the National Scenic Trails System established by Act of Congress in 1968.